In his new book, Mike Huckabee writes, "Ever since the debate over [the national health care] program began, it’s been compared to 'RomneyCare,' the failed statewide health care program implemented by none other than my fellow GOP member Mitt Romney when he was governor of Massachusetts." 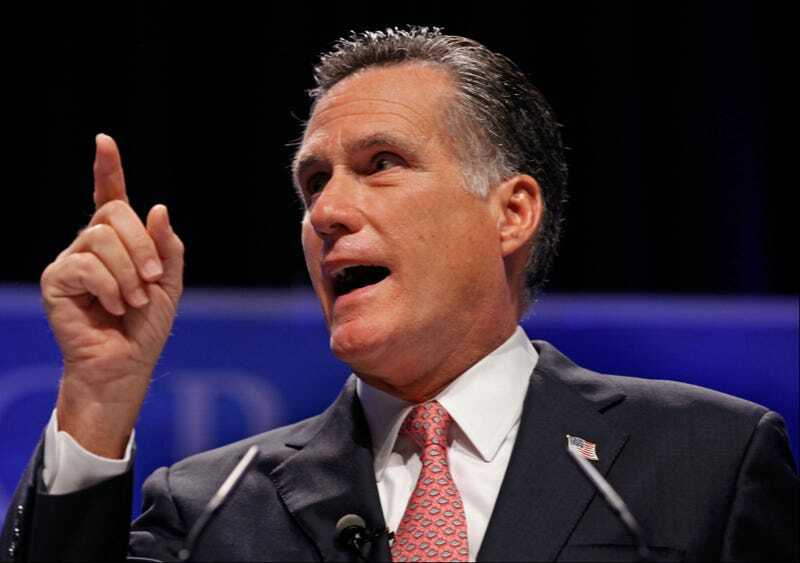 Romney's spokesman responded to National Journal: "Mitt Romney is proud of what he accomplished for Massachusetts. … What's important now is to return to the states the power to determine their own health care solutions by repealing Obamacare. A one-size-fits-all plan for the entire nation just doesn't work." But then Palin's communications aide, Rebecca Mansour, re-Tweeted this line: "Romney spokesman: He's darned proud of RomneyCare."